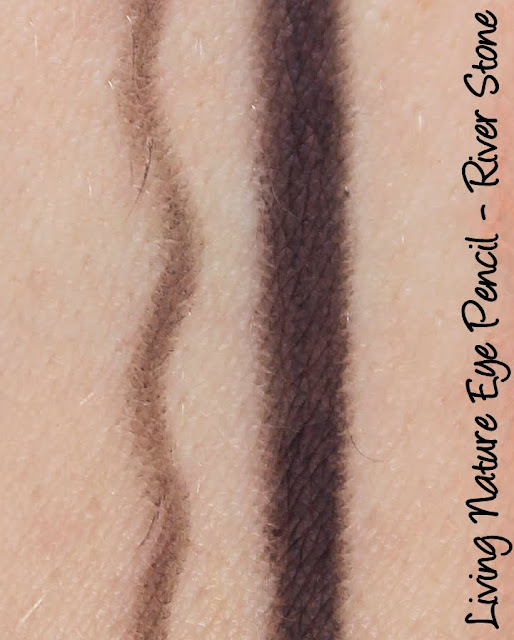 The next item from Living Nature that I have to show you is one of their eye pencils in the shade River Stone. As you might expect from the name, it's a lovely blue-grey. I don't think I've ever owned a grey eyeliner before! River Stones comes boxed with its name printed on the exterior. 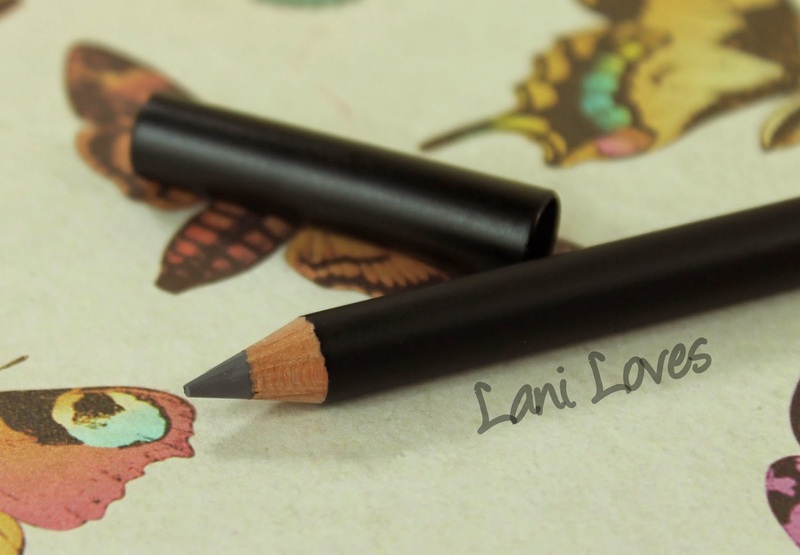 The pencil itself is your traditional wooden style which needs sharpening, and it's matte black with the end coloured grey to match the eyeliner. 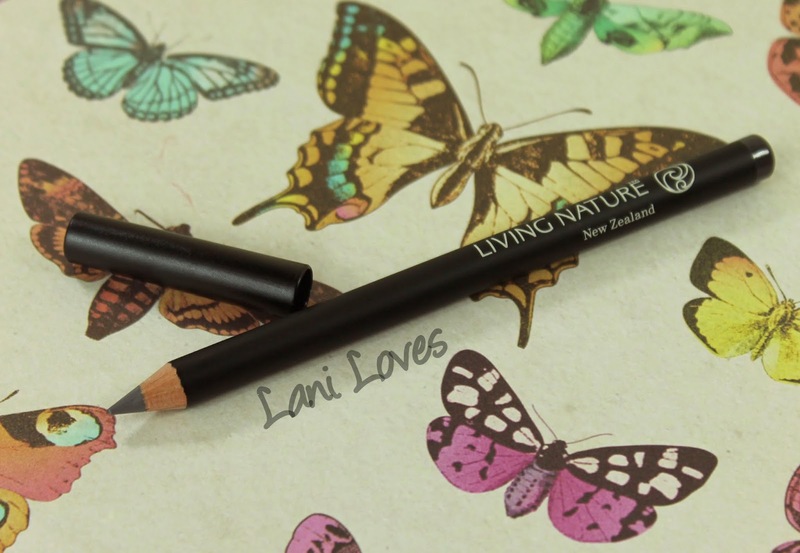 Living Nature's Eye Pencils have a retail price of $29NZD for 1.14g. River Stone is a cool blue-grey with a matte finish and buildable colour pay off. 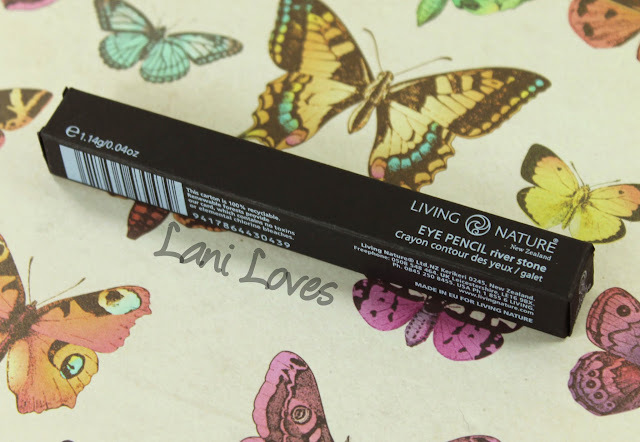 Living Nature call their eyeliner formula a 'soft gentle pencil with vegetable waxes to provide smooth application'. This is a pencil you'll want to wear down a little before applying, as it feels quite sharp and scratchy initially. I found the formula to be too stiff to comfortably apply to my lashlines at first (though after a few uses it has improved considerably and now applies easily) so I opted to line my waterline with River Stone instead and it worked wonderfully for that. 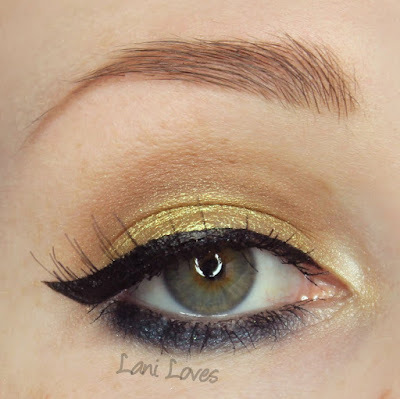 It lasted really well on the waterline too and provided definition without being quite as harsh as black can sometimes be. 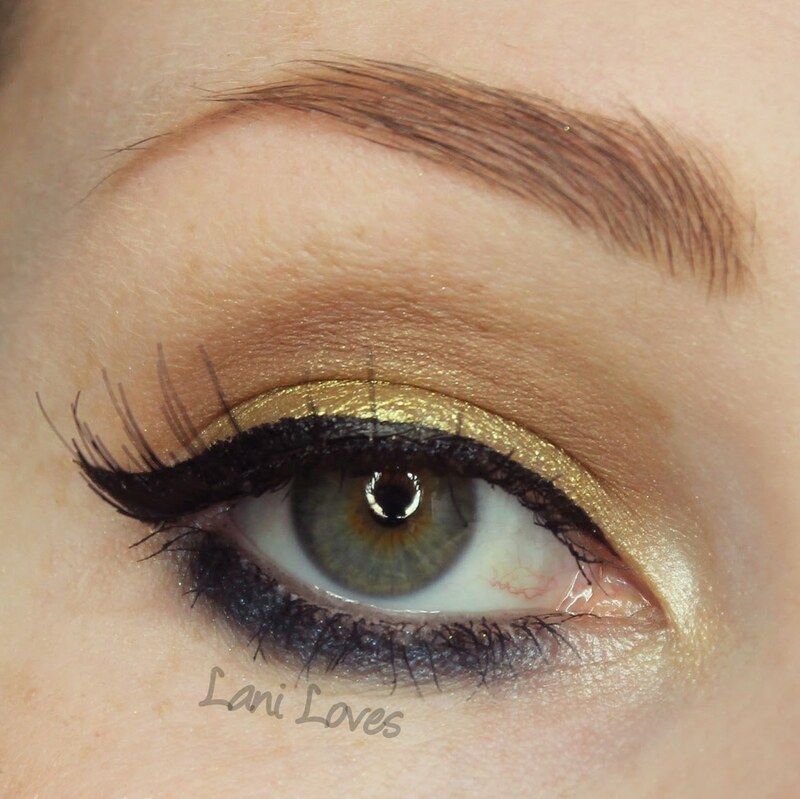 I'd say grey is definitely an eyeliner colour worth trying! 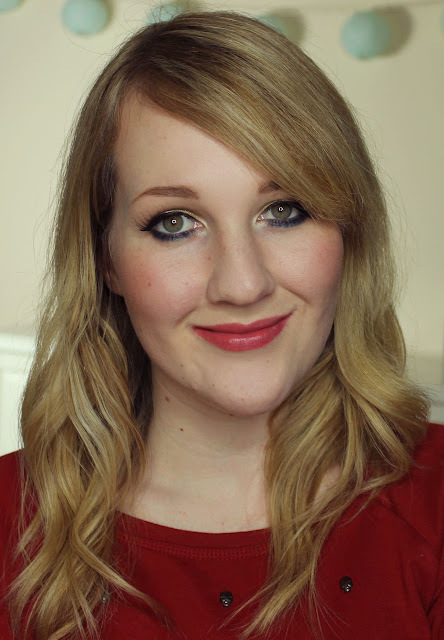 Have you tried grey eyeliner before?